Andrew Wiggins continues to flourish after receiving the KIA NBA Rookie Of The Year award. Closely following his commercial with Damian Lillard and Jimmy Kimmel, adidas has now hooked him up with another colorway on their adidas Crazylight Boost 2015. The sneaker pays homage to Andrew's Canadian roots just like the previous ROY Crazylight Boost 2015. 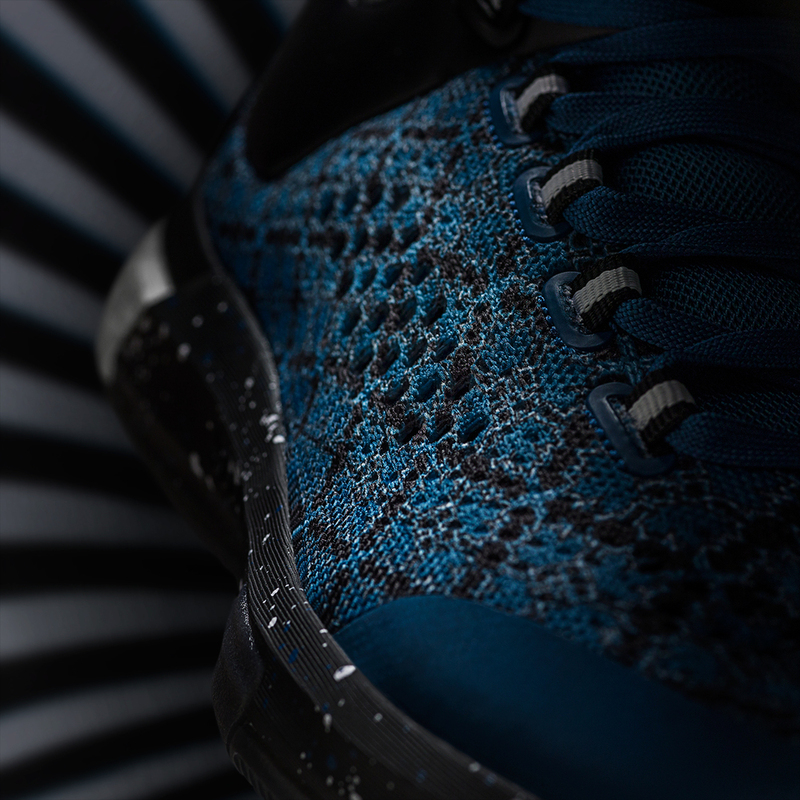 The adidas x Andrew Wiggins Crazylight Boost 2015 Road Edition is a very interesting sneaker. The sneaker features a sublimated prime knit upper decked out in blue and black maple leafs. Synthetic leather on the upper and tongue compliments the look as "AW" is branded on the tongue. The sneaker is also equipped with a speckled midsole and is complete with 13 percent more boost for maximum responsiveness and energy return. Available now for $130, you can cop the sneaker on adidas.com right now!